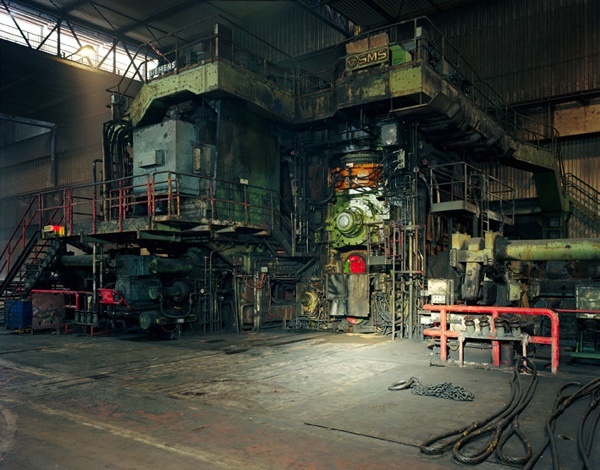 THOMAS STRUTH / Marian Goodman Gallery, New York / until 22 february 2014. Thomas Struth expose ses nouvelles séries chez Marian Goodman à New York jusqu’au 22 février prochain. 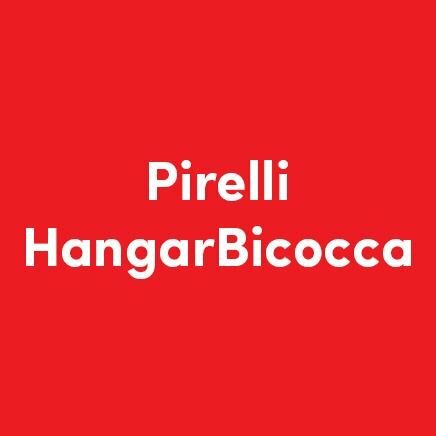 Connu pour ses photos grand format en noir et blanc de scènes de rue, de paysages et d’architectures ou encore de portraits, Le travail le plus récent de Thomas Struth, montré à la galerie en 2010, examinait la complexité structurelle d’espaces technos-scientifiques en Asie, Europe et Amériques. Pour cette nouvelle exposition, Struth présente une nouvelle série d’images dans lesquelles il pénètre de nouveau dans les endroits-clés de l’imagination humaine afin d’y scruter le paysage d’entreprise, celui de l’invention et de l’ingénierie numérique, aussi bien que la complexité des structures cachées de la technologie de pointe par rapport à la culture et l’histoire. 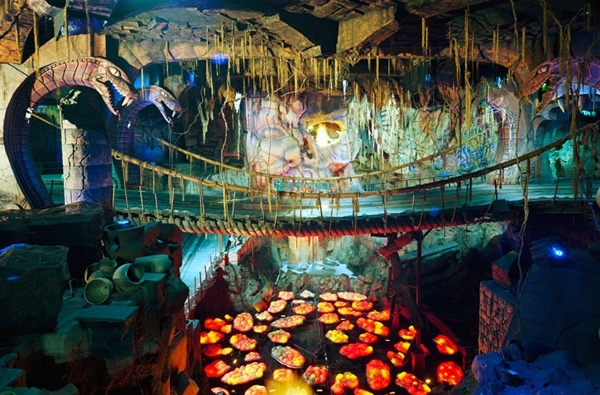 En prenant un site archétypal pour étalon de la création de rêves culturels, une première série d’images dépeint les vues panoramiques des parcs à thème de Disney à Los Angeles – lieu iconique qui a formaté la fantaisie créative à l’échelle mondiale. Un second groupe de travaux examine les nouveaux sites de la technologie mondiale, établissant ainsi un continuum dans l’examen de notre réalité contemporaine. 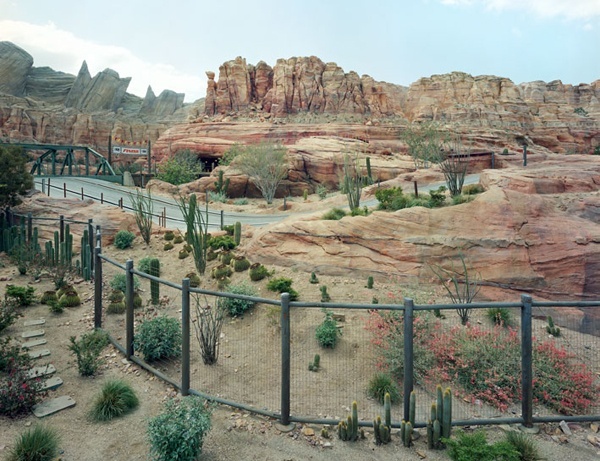 Marian Goodman Gallery presents an exhibition of new work by Thomas Struth which will run through February 22nd 2014. .Known for his black-and-white street scenes, family portraits, landscapes and culture-scapes, architectural photographs, museum and church pictures, Audience series, and industrial pictures, Thomas Struth’s most recent body of work, shown at the gallery in 2010, investigated the structural complexity of techno-scientific spaces throughout Asia, Europe and the Americas. For his current exhibition Struth presents a new series of pictures in which he again penetrates key places of human imagination in order to scrutinize the landscape of enterprise, invention and digital engineering as well as the complex hidden structures of advanced technology – image makers and industry – in relation to culture and history. 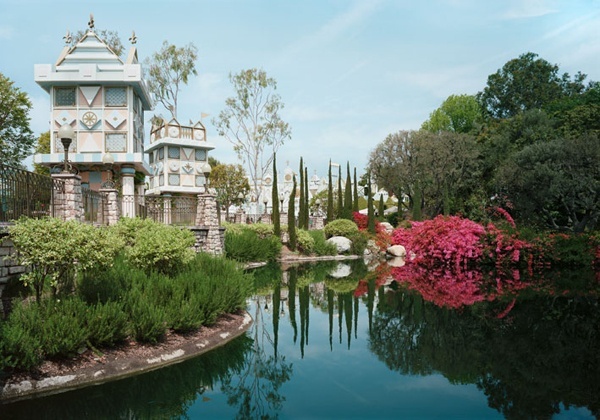 Taking an archetypal site for the creation of cultural dreams and imagination, one group of pictures depicts panoramic views of Disney’s theme parks in Los Angeles–an iconic place of imagination and one which has globally shaped human fantasy. A second compelling and dynamic group of works investigates new sites of technology, and provides a continuum into the charged backdrops of science and industry and our shared contemporary reality. Struth continues, “With the new, work, I attempt to take a wider, more principled point of view. I want to reconsider how the process of imagination and fantasy works in general, how something which has built up in someone’s mind has materialized and become reality. The German expression “sich etwas ausmalen”—to paint something in one’s head—refers to the picturing capacity of the human brain. It is a condition, without which we cannot create anything. “My thoughts about this were partly inspired by Katja Eichinger’s 2008 article in the Frankfurter Allgemeine Zeitung (FAZ) about the altered perspective and reading of Disneyland since its beginnings in the 1950s. In a time when information technology and the picture-making industry accelerate their efforts to bring imagination and physical reality closer together, thus turning the passive experience of watching a screen into something more bodily, I thought it would be interesting to return to this early example of the constructed imagination, Disneyland. “I went to Anaheim in 2009 to test its potential for a new body of work and returned in April 2013. My focus was particularly drawn to the ambiguity between what Walt Disney had remembered from his trips to Europe and how it was later rebuilt as a kind of latent reality in California.